Welcome to this month’s Blogorail Peach Loop. Today we are sharing ideas for Mother’s Day Weekend Getaways. Welcome to this month’s Magical Blogorail Peach loop. Today we are taking a look at Mother’s Day Weekend Getaways, and I’m focusing my attention on the Magic Kingdom! Come join us and imagine a time when you can take your mother (or you can help your child take their mother) to the Magic Kingdom to celebrate their special day! Mother’s Day is a special time, a time when all children should remember their mothers and celebrate all that they do for us. What better way to celebrate that than a special Mother’s Day Weekend Getaway to the Magic Kingdom! In full disclosure, I have never been able to take my mother — and Sophie has never taken her mother — to the Magic Kingdom on Mother’s Day. School schedule just never seem to cooperate with us in this regard, especially since we live in North Carolina. However, our mothers do a lot for their children, day in and day out, and it seems good to me that we should celebrate our mothers each and every day. If the day should come that we were to move to Florida, I think then we would make a special arrangement to visit the Magic Kingdom on Mother’s Day, but until then, we’ll spend our time remembering special trips Sophie and I have made with our mothers. 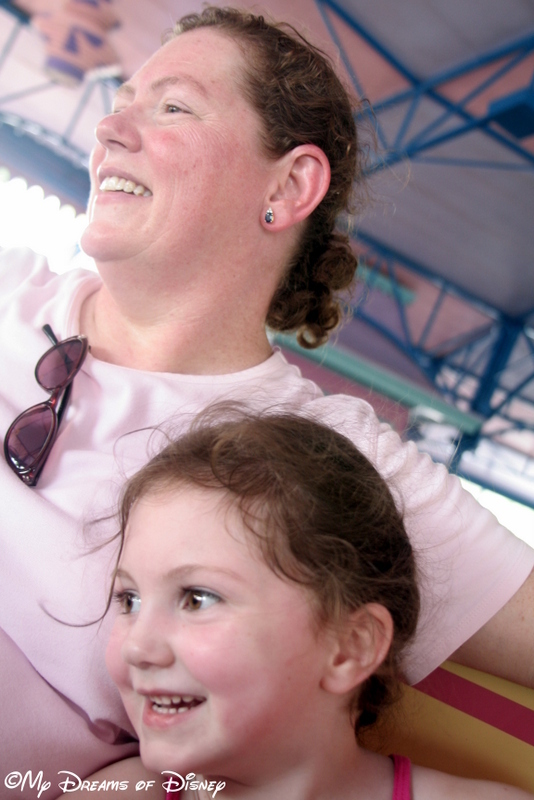 In 2006 when we were visiting my grandparents in Florida, Cindy and I decided we would take Sophie and my Mom Ellen to the Magic Kingdom for the day. It was a fun trip, and was the first time that Mom had been there since my very first trip way back in the summer of 1979, twenty-seven years before. It was a great day to be there, in essence, it was me taking my favorite 3 girls to the one place I like to visit more than any other place. In this photo, you see Sophie and Cindy enjoying a fun ride on the Mad Hatter’s Tea Cups. I love this picture for the pure joy you see on their faces. Although now, if Sophie rides it, she rides in a different one than Cindy and I do because we don’t like to spin really fast anymore and Sophie is all about that! 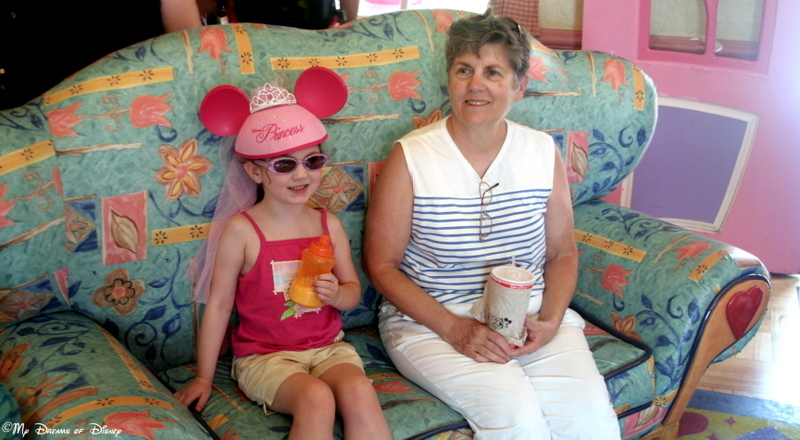 In this photo, Sophie and my Mom Ellen are relaxing for a picture on Minnie’s couch back in the old Mickey’s Toontown Fair. That land is sadly no more, but treasures like this one remind us of when we were there, and the land lives on in us through these photos. I don’t know what ever became of Mickey’s and Minnie’s country homes or their furniture — I’d love to see them put back on display somewhere, wouldn’t you? 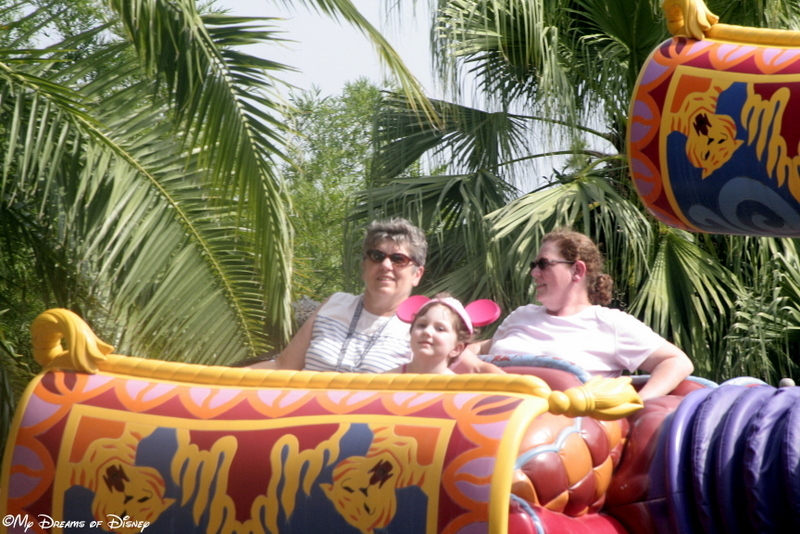 Lastly, in this photo we see a picture of Mom, Sophie, and Cindy riding The Magic Carpets of Aladdin over in Adventureland. I sat out this attraction and took my pictures from ground level. Just three girls out enjoying a relaxing ride! I guess the point I’m trying to make in this post is to remind each and every one of us — starting with myself — that life is precious, and we should celebrate our Mom each and every day. Whether you celebrate her in your day to day excursions, or you celebrate her at special places like the Magic Kingdom, the point is to celebrate her, and surround her with the love that she deserves, day in and day out. 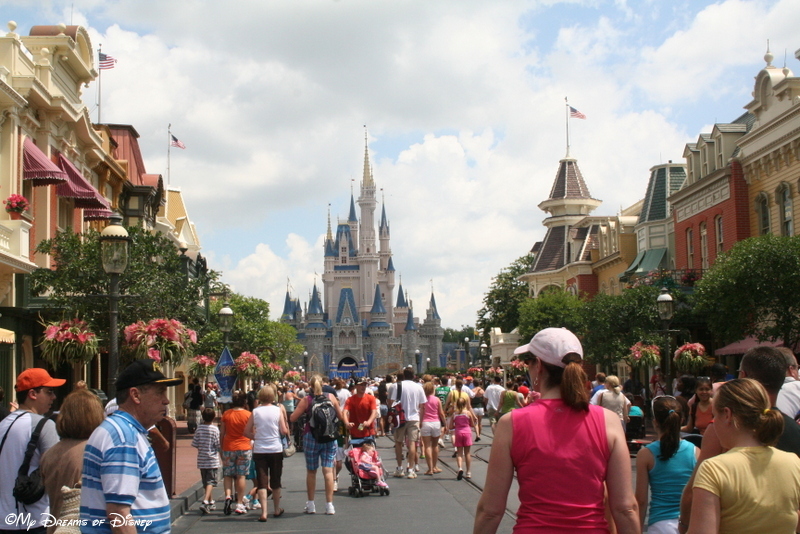 Have you ever taken your Mom to the Magic Kingdom for Mother’s Day? What did you enjoy most about that? Let us know in the comments, please, and thanks for stopping by today!